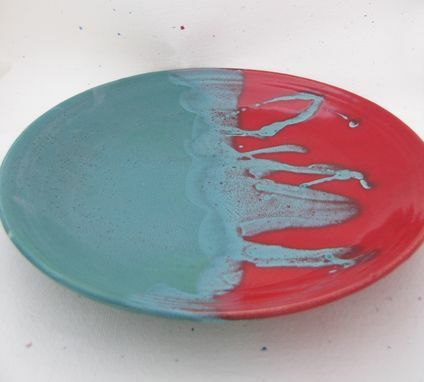 A funky and functional platter finished with a matte turquoise and a shiny red glaze. It looks great on your wall or table or plate stand and functions just as great. This glaze style is available for all pieces I make from cream and sugar sets to plate to bowls to mugs and pitchers. Price is for a variety of objects in this glaze combination.